I just listed another bike-related thing on Craigslist last night in a fit of simplicity. I’m saying farewell to my Xtracycle. 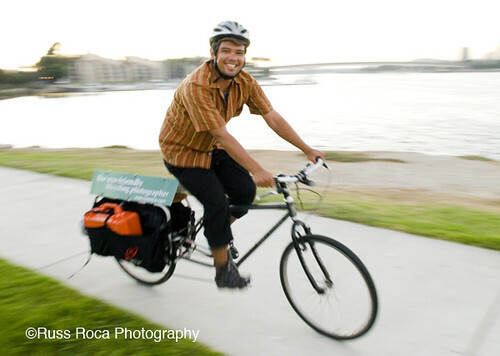 It’s sort of a momentous personal moment, since it was with the Xtracycle I first learned that I could ACTUALLY be a photographer without a car and carry everything I needed, even a ten foot seamless roll of paper. When I first got mine, there was no Surly Big Dummy and they didn’t have nearly as many accessories as they do now. It’s great to see that they seem to be doing well and that the longtail bike isn’t as odd a looking beast in Los Angeles like when I first started. It really is an amazing bike invention and why they don’t get some crazy Best Designer Ever award is really beyond me. I’m planning to take it to the BikeStation sometime this weekend and disassemble it, getting it ready for its next life on someone else’s bike. 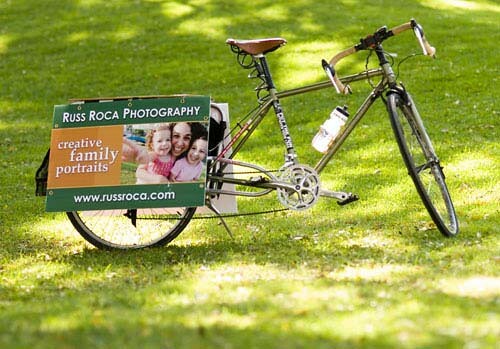 Maybe another bicycling photographer, perhaps? 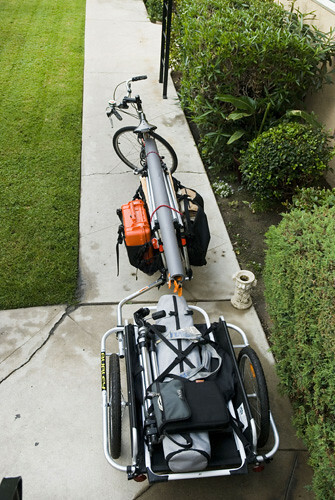 are you selling just the xtracycle conversion kit or the whole bike? I just finished building up my Xtracycle, and having looked all over unsuccessfully for a used one, i can guarantee you that someone out there will be very happy to take it off your hands. Which of your bikes will you keep? I’m gonna guess the Bilenky and the Long haul. I tried to contact you through Craigslist, but not sure if it worked. 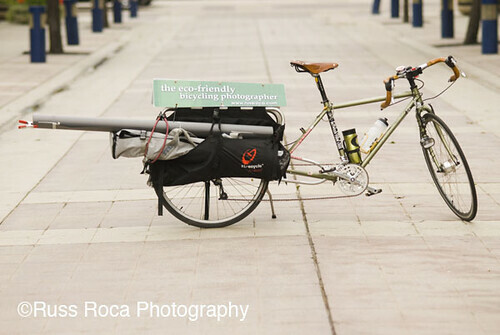 I would love to give your xtracycle conversion kit a good home. Let me know if you are still interested in selling it.